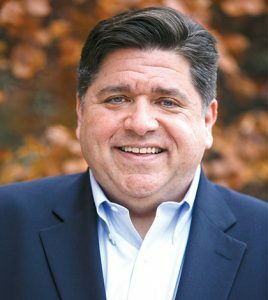 Shortly after noon on Monday, Democrat J.B. Pritzker became the 43rd governor of Illinois. Pritzker’s inauguration ceremony took place at the Illinois State Fairgrounds in Springfield, with other statewide officials, including Lt. Gov. Juliana Stratton, taking their oaths of office and speaking after him. In his inaugural address, Pritzker highlighted some of the key challenges Illinois faces. “We want better roads, better schools, better wages – but we vilify anyone who dares suggest a workable path to those things,” he said later in his speech. “We allow our schools, our movie theaters, our hospitals, our neighborhoods to become battlefields – legally accessible by the weapons of war. Despite those issues, he said Illinois “is not broken.” He mentioned several steps he plans to take in an effort to solve those issues. Read the full story in the January 16, 2019, issue.